This writer combined elegant prose, intricate story lines, and sharp-eyed social commentary to craft intelligent and amusing crime fiction. Few British crime writers have been lauded as extensively on both sides of the Atlantic as Michael Gilbert, who died in 2006 at the age of 93. 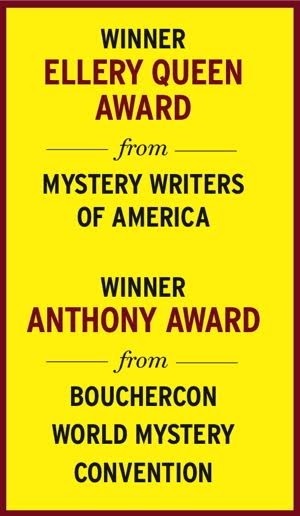 The Mystery Writers of America recognized his contribution to the genre with its highest honour, the Grand Master Award. The Crime Writers Association did likewise when he received the CWA Cartier Diamond Dagger. The Queen appointed him a Commander of the British Empire in 1980 and his books—fact as well as fiction—stage plays, television scripts and radio plays have earned an admiring audience since his first novel, Close Quarters, appeared in 1947. Two of his other novels were adapted into films. Yet his was never a household name. This was not due to any lack of talent, but simply because he belonged to a generation and a class of Englishmen that regarded the seeking of personal publicity as unseemly. He preferred to let his work speak for itself. And how well it spoke of his gifts for writing clear and attractive prose and for composing intricate and delightful storylines. Michael Gilbert was born in 1912, the same year as the legendary crime critic and novelist Julian Symons, who became a good friend from the time when, in 1953, they were asked by John Creasey to help found the Crime Writers Association. 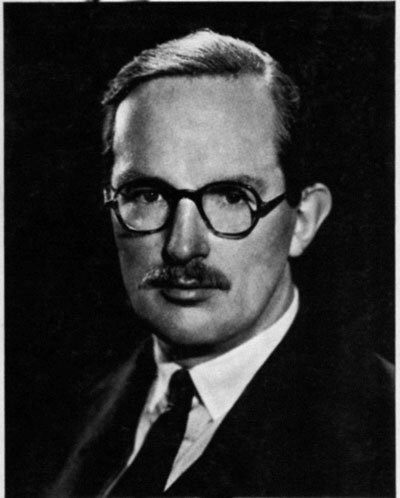 Educated at Blundell’s, a well-known private school, and London University, Gilbert had a short spell as a schoolteacher before the Second World War intervened. By then his enthusiasm for detective fiction had prompted him to start work on Close Quarters. 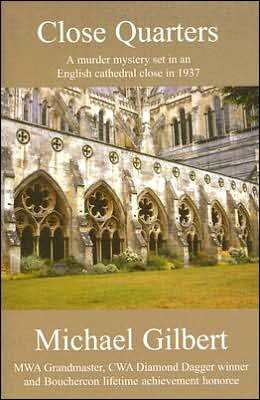 Conceived in the spirit of Golden Age mystery writing, and still an agreeable read today, this whodunit was set in a fictitious Cathedral close. Before he managed to finish the book, he had served in the Royal Horse Artillery, been mentioned in dispatches, and become a prisoner of war. 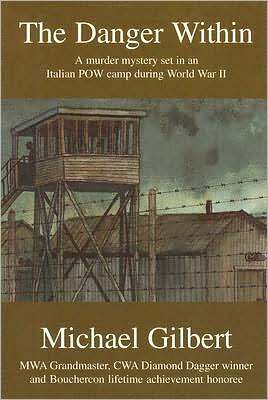 His experiences in an Italian POW camp provided him with background material for Death in Captivity, a first-rate whodunit. By the time that book appeared in 1952, Gilbert had already published five others and qualified as a solicitor. Gilbert seems to have had an extraordinary ability to succeed at anything he seriously turned his mind to. He did not merely dabble in legal work whilst trying to build a career as a novelist; he rose to become second most senior partner in a prestigious firm and numbered amongst his clients not only the Conservative Party and the Sultan of Bahrain—but also Raymond Chandler. His legal knowledge informed many of his short stories and novels—including the witty and ingenious Smallbone Deceased, which many regard as his masterpiece. Cyril Hare, a barrister who became a judge and who also wrote crime fiction, was an influence. Gilbert came across Hare’s classic mystery Tragedy at Law whilst imprisoned in Italy. The men later became good friends and, after Hare’s early death, Gilbert edited a first class collection, Best Detective Stories of Cyril Hare. Hare was an excellent writer whose reputation has stood the test of time. But Gilbert’s range—even in his books focusing on legal themes, a small proportion of his total output—was much wider. Death has Deep Roots cleverly combines a courtroom drama with a thriller set largely in France. Flashpoint, narrated in part by a lawyer who works for the Law Society (the body which regulates the conduct of solicitors), involves political intrigue and dirty tricks played by the security services. 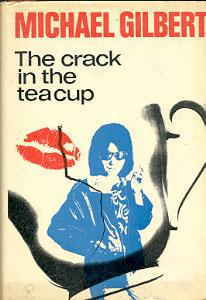 The Crack in the Teacup finds a young lawyer running up against corruption in local government. The Queen against Karl Mullen, an outstanding and astonishingly overlooked late work, treats with great skill tricky questions about the fallibility of British justice. The themes are serious, yet invariably Gilbert wrote with a light touch. If he wished to convey a message, he did so with the utmost subtlety. Perhaps that is why the sharp-eyed social commentary in several of his books has so often been underestimated. Legal issues and settings surface in many of the hundreds of short stories that he turned out over more than half a century. Stay of Execution includes several minor masterpieces, not least the short-short “Back on the Shelf.” Anything for a Quiet Life brings together nine stories about Jonas Pickett, a solicitor who leaves London for a quiet Sussex resort but finds himself repeatedly confronted by mysteries that demand to be solved. Soon he introduced Sergeant Patrick Petrella, son of an Englishwoman and a senior Spanish detective. Petrella’s first book appearance was in Blood and Judgment, a police procedural which opens with the discovery of a woman’s body on Bonfire Night. Although Hazlerigg investigated in Smallbone Deceased, the book also saw the debut of an appealing amateur sleuth, the lawyer Henry Bohun. As Gilbert said: “Bohun’s detective activities arose by chance. Since he suffered from a form of parainsomnia which never allowed him more than two hours’ sleep each night, and sometimes none at all, this left him with a lot of time on his hands which he spent…thinking out answers to the problems that he encountered.” Bohun appeared in no other novels, but five of the short stories about him may be found in The Man Who Hated Banks. That collection also includes three tales about the unscrupulous former DCI Mercer, whose first outing was in The Body of a Girl. I presume that Gilbert’s political instincts were conservative, but he was never reluctant to explore the dark and dirty corners of establishment life in his writing. There are corrupt cops as well as honourable ones, together with innumerable dodgy politicians. In his espionage stories, especially the highly praised series concerning the veteran agents Calder and Behrens, he does not flinch from the reality that spying is a brutal business. Gilbert somehow found time, mostly in the 1950s and 1960s, to write extensively for stage, radio, and TV, as well as to coedit the first four CWA short story anthologies and an excellent series of Classics of Detection and Adventure for Hodder & Stoughton. His nonfiction is always worth seeking out and it is a matter for regret that he did not write more regularly about his chosen genre. Had he done so, one suspects that his reputation as an incisive, if traditionally inclined, commentator might have rivalled that of Symons. He contributed a chapter to a book edited by H.R.F. Keating (who wrote an affectionate and perceptive obituary of Gilbert for The Guardian) about Agatha Christie, but perhaps his most original and fascinating essay is to be found in a book he edited himself, Crime in Good Company, a gathering of pieces on criminals and crime-writing put out under the auspices of the CWA. In “The Moment of Violence,” Gilbert argues that “a thriller is more difficult to write than a detective story.” (He, of course, was skilled at both forms.) He went on to claim that “because thrillers are more difficult, they are, on the whole, written by professionals. Detective stories of the greatest excellence are produced by school-mistresses, dons, County Court judges, poets, lawyers, Army Commanders, chemists, critics and other members of those underpaid professional classes who have to use their spare time productively or starve.” Note, incidentally, how a telling point is wrapped up with dry humour. This is typical of Gilbert. His essay was written nearly 50 years ago and remains a good read today—not least for his explanation, based on personal experience, of what it sounds like to be shot at when you are running away. 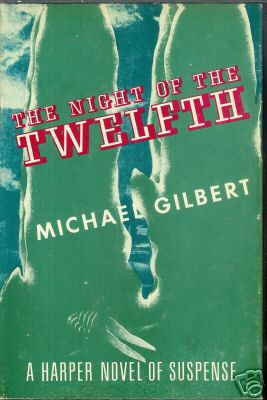 In fact the Gilberts had seven children in all (one, Harriet, herself became a successful novelist), though Michael Gilbert focused increasingly on producing novels: his final tally reached 30. These are the views of a member of the old school, and I fear that they would get a modern lawyer nowhere (even though there is much truth in what he and Sayers said.) But above all, they are the views of an honourable and modest man. I owe Michael Gilbert even more than most crime fiction fans. After I achieved publication of my novels about Harry Devlin, a Liverpudlian solicitor much more down-at-heel than any of his own legal sleuths, he was quick to offer praise that meant much more to me than he can ever have realised. Gilbert was generous, too. When—having taken over the editorship of the CWA anthologies that he, along with Symons and Josephine Bell had inaugurated four decades earlier—I asked permission to reproduce his stories in collections, he was always willing to help. The last time we were in touch was when he agreed to my reprinting a lovely short story called “A Case for Gourmets” in the 2005 CWA anthology, Crime on the Move. There is so much in Michael Gilbert’s work to savour—he is never dull, he never writes the same book twice. As well as the titles already mentioned, I would highlight two more. The Night of the Twelfth is an excellent police novel, while The Dust and the Heat (also known as Overdrive) is very different from his other whodunits and action- packed thrillers. It combines an unusual plot with an intriguing character study of Oliver Nugent, a successful businessman with a dark secret dating back to the days immediately after the end of the Second World War. And—guess what?—along the way, Gilbert also pokes a great deal of fun at advertising campaigns. He enjoyed writing his mysteries every bit as much as readers who relish intelligent and amusing crime fiction will continue to enjoy devouring them. During World War II Michael Gilbert served in the Royal Horse Artillery in North Africa and Europe. He was captured in 1943 in North Africa and sent to a military prison near Parma in Italy. During his time as a POW, he became interested in crime novels after reading Cyril Hare’s Tragedy at Law. After the Italian surrender, Gilbert managed to escape from the camp with two friends. Approaching the Allied lines one of his friends was shot and recaptured, but Gilbert succeeded in crossing the lines with his other friend. This experience he later used in the 1952 novel Death in Captivity (published in the US as The Danger Within). 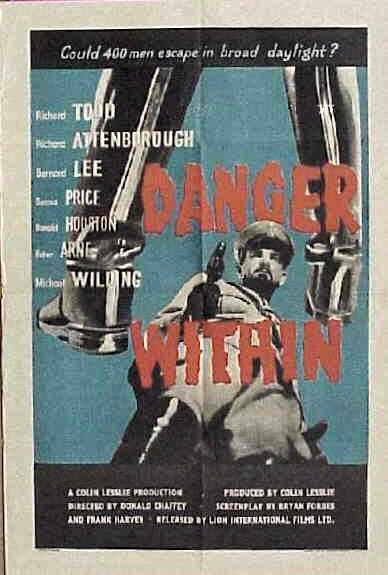 This novel was the basis for the 1959 film Danger Within, released in the US as Breakout. *Dates are for first publication. All books published first in the UK, unless otherwise noted. "Life is the process of finding out, too late, everything that should have been obvious to you at the time."